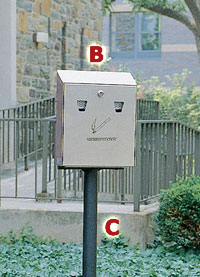 Simply snuff out the cigarette and drop into the receptacle. 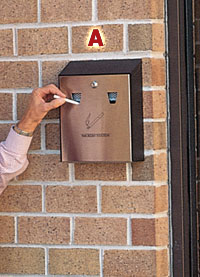 Recessed extinguishing screen prevents ashes from falling to the ground. Keyed cam lock prevents tampering. Constructed of heavy gauge fire safe, weather resistant, powder-coated steel and stainless steel. Optional surface mount and in-ground poles accommodate one or two models.